This is the Bomber Special Instrumentation (S.I.) test patch used for the flight testing of the USAF bomber fleet. The orange part comes from the orange wiring and test equipment used in the flight test. These are being done for the 412th Test Group at Edwards AFB California. This is the small subdued version of the squadron patch for the 81st Range Control Squadron located at Tyndall AFB, FL. 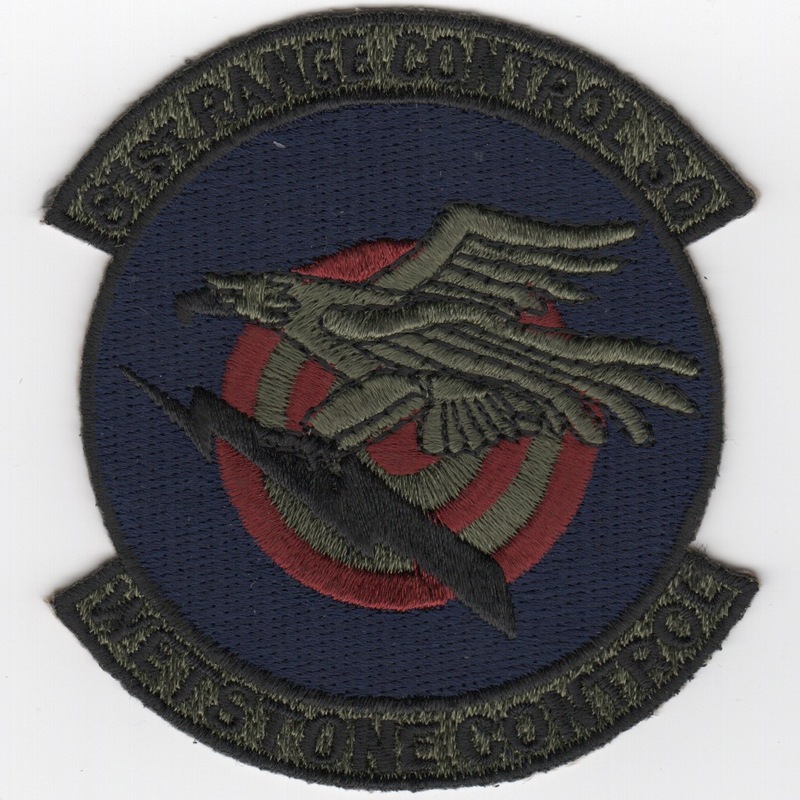 It says "WETSTONE CONTROL" at the bottom and I believe it is the patch worn on the camoflauge uniforms. 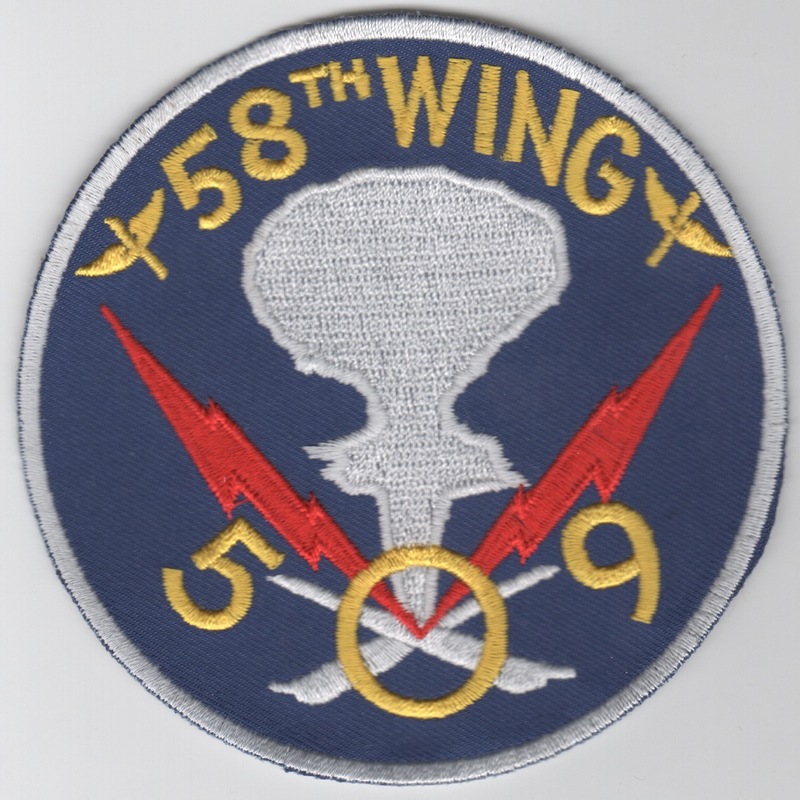 Size: 3.75" High x 5" Wide"
The 346HJBS was re-activated in 1953 as a Strategic Air Command B-36 Peacemaker intercontinental strategic bombardment squadron. Engaged in worldwide strategic bombardment training and stood nuclear alert until 1956 when the B-36 was retired. Re-equipped with B-52 Strato-fortresses and continued training and nuclear alert status. Deployed to Pacific during the Vietnam War, engaging in Arc Light combat missions over North Vietnam the 346th also deployed to Thailand flying out of U-Tapao for combat missions over Cambodia and Laos. They were deactivated in 1974 with the inactivation of parent 99th Bombardment Wing and closure of Westover AFB. This is a reproduction patch. 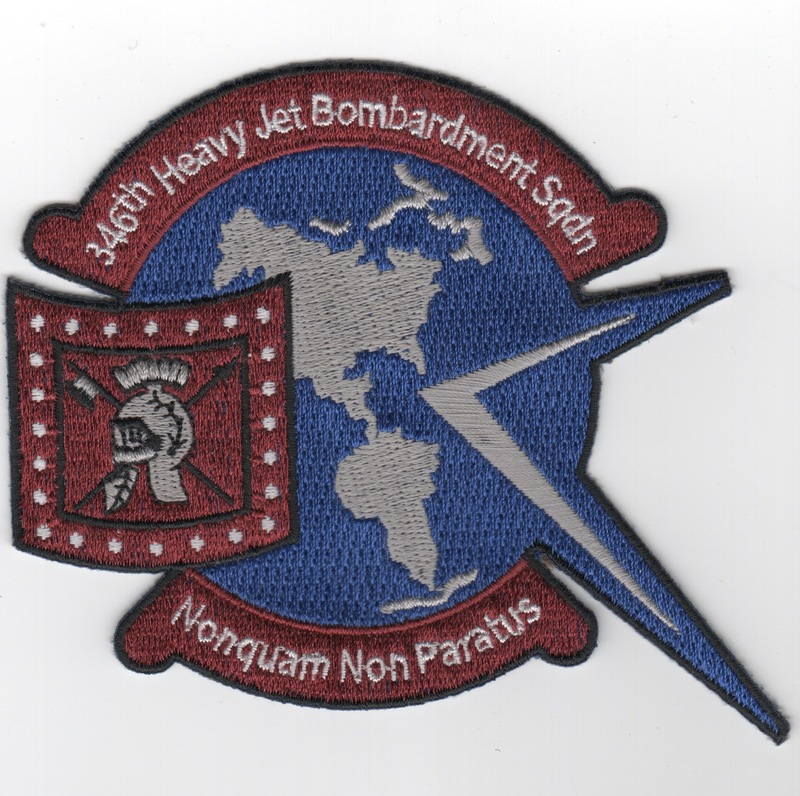 This is the subdued version of the squadron patch for the 380th OMS. The 380th OMS patch and Metal insignia (below) on your page is from Plattsburgh AFB, NY - they were responsible for launching the Bombers and Tankers on the flightline. The aircraft crew chiefs were assigned to the 380th OMS. This is the metallic version of the squadron patch for the 380th OMS. The 380th OMS patch (above) and Metal insignia on your page is from Plattsburgh AFB, NY - they were responsible for launching the Bombers and Tankers on the flightline. The aircraft crew chiefs were assigned to the 380th OMS. 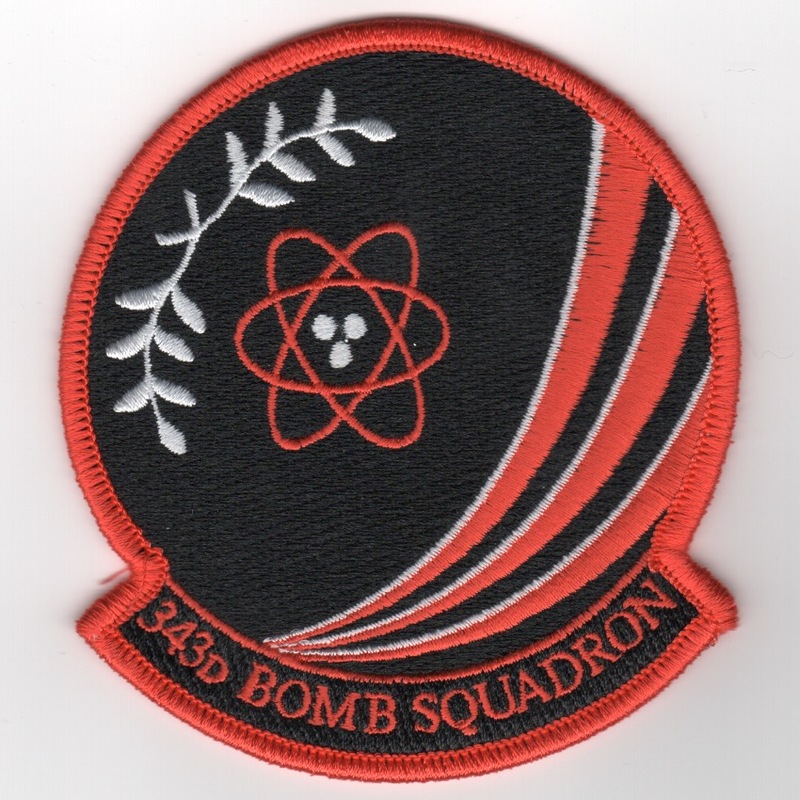 This is an original squadron patch created for the 644th Bomb Squadron. Not sure of any other info on them right now..........and it does not have velcro attached. 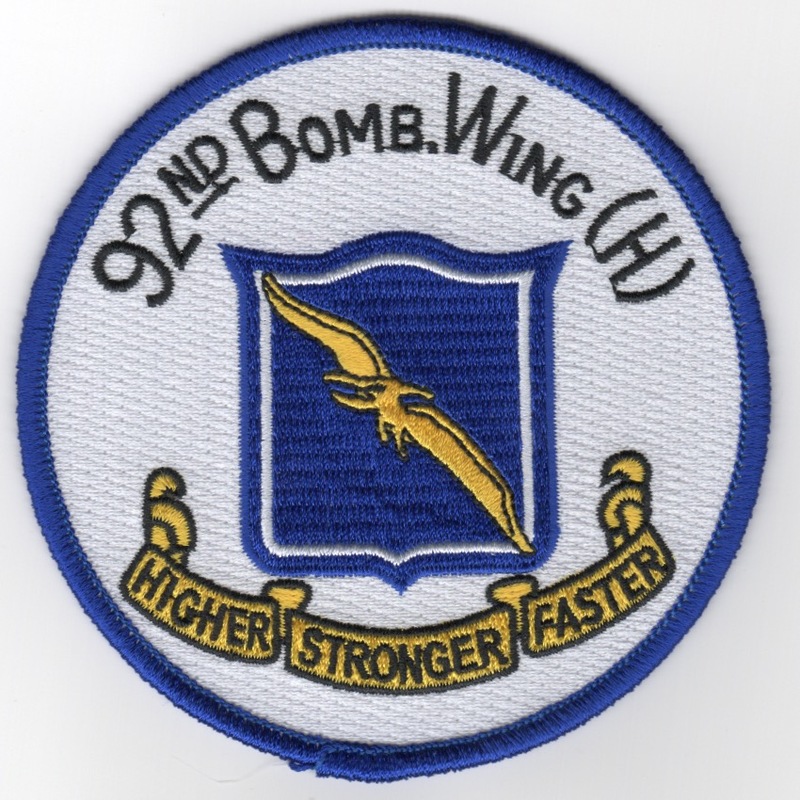 This is the reproduction patch for the 873rd Bomb Squadron. This was their "Friday" patch showing the "elephant on a cloud" dropping a bomb. They were in the 498th Bomb Group which was in the 73rd Bomb Wing back in August 1945. This is the reproduction patch for the 7101st Air Base Wing. During WWII, the 87th Infantry Division confiscated the Luftwaffe 'Weisbaden' base, along with property belonging to the Wehrmacht. 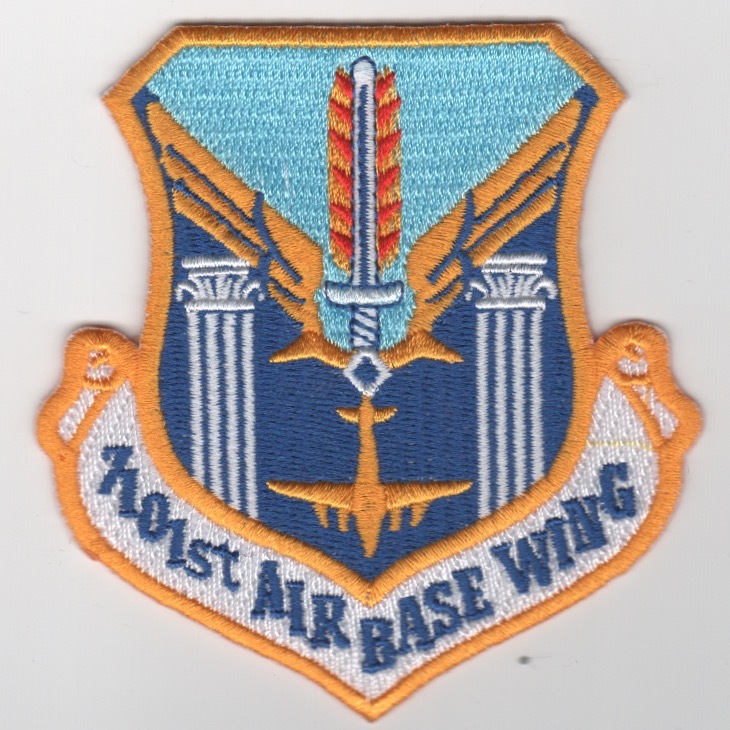 From 1945-1973, Weisbaden served as the USAFE HQ, and the airbase was home to the 7101st Air Base Wing. This is the crest version of their patch and it does not have velcro attached. This is the US Strategic Command patch for STRATCOM. They no longer exist, as all the USAF "commands" were redone a few years back. Homepage | Order USAF Bomber Patches!